One of the strongest teams of the IPL, Sunrises Hyderabad will get their campaign running against Kolkata Knight Riders on March 24th. The Hyderabad-based franchise had a decent run last year. But they were knocked out by the same opposition in the second qualifier. Let’s have a look at Pre-Tournament Best XI for Sunrisers Hyderabad in IPL 2019. 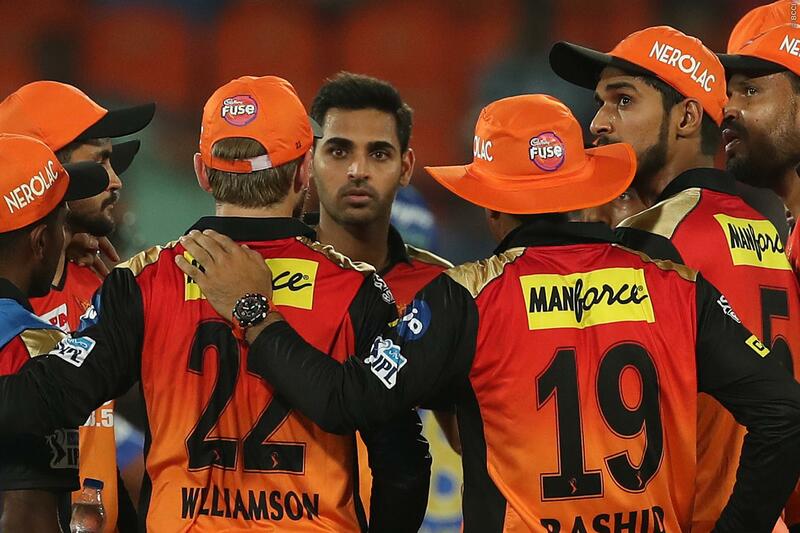 SRH will hope they can bring back some of the form they had shown in the 2016 edition, which they had won under the stewardship of David Warner and Tom Moody. And the good news is that after missing out of the competition last season, Warner is back into the set-up. However, they let go of Shikhar Dhawan, who had been one of the stalwarts for them for a number of years. Dhawan moved to the Delhi Capitals in exchange for Abhishek Sharma, Vijay Shankar and Shahbaz Nadeem. Given Shankar’s form in recent times, he could well prove to be a handy all-rounder for SRH. The Sunrisers always possess tremendous strength in the bowling department. But this year, their batting unit is also looking fearsome. Now that Warner is back, it adds to the strength. As far as batting concerned, Warner is most likely to open the innings with the English wicket-keeping batsman Jonny Bairstow. Then, followed by the promising skipper Kane Williamson who was in great touch in the recent series against Bangladesh. Williamson had led the side brilliantly in IPL 2018. Not just as the captain, he was also the leader of the batting unit. The Kiwi batsman had finished as the highest run-getter of the tournament for which he received the Orange Cap. Shakib Al Hasan is another reliable batsman in the middle-order who can guide the innings pretty well. After the top-heavy overseas line-up, SRH possesses a strong Indian middle-order. Manish Pandey, Yusuf Pathan, and Vijay Shankar combine to form a formidable force that can be lethal at the back end of the innings. Amongst all the 8 teams, SRH has the strongest bowling attack. They have won several matches because of the impactful bowlers. Bhuvneshwar Kumar swings the new ball and has transformed himself into a death-overs specialist. The other pacers, Siddarth Kaul and Sandeep Sharma are also decent in the format. Then, they have the superstar of T20 cricket – Rashid Khan. The Afghan leg-spinner is one of the best cricketers of the shortest format of the game. On most days, he gives you wickets and hardly concedes any boundaries. Not just that, he has proved his worth with the bat by playing many cameos late in the innings. Shakib will be the other spinner in the side. He will provide 4 overs more often than not and very rarely, he goes for plenty. The left-arm spinner is a proven wicket-taker and can bowl at any stage of the game.